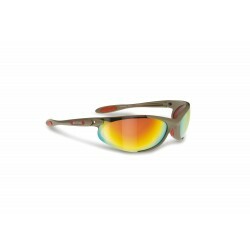 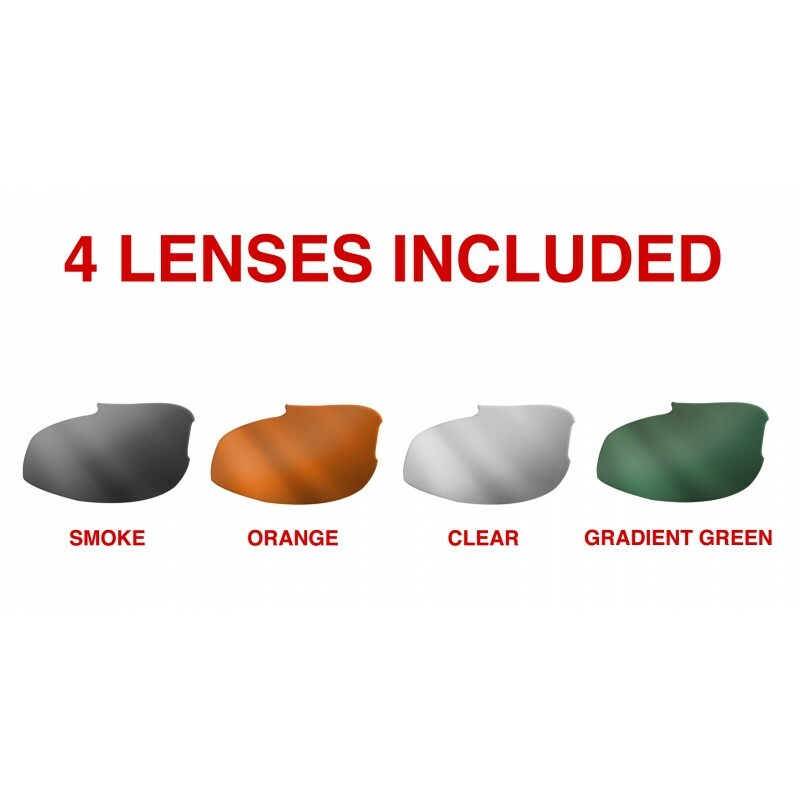 4 antifog interchangeable lenses included , makes it perfect in all condition of brightness: Smoke - Orange - Gradient Green - Clear. 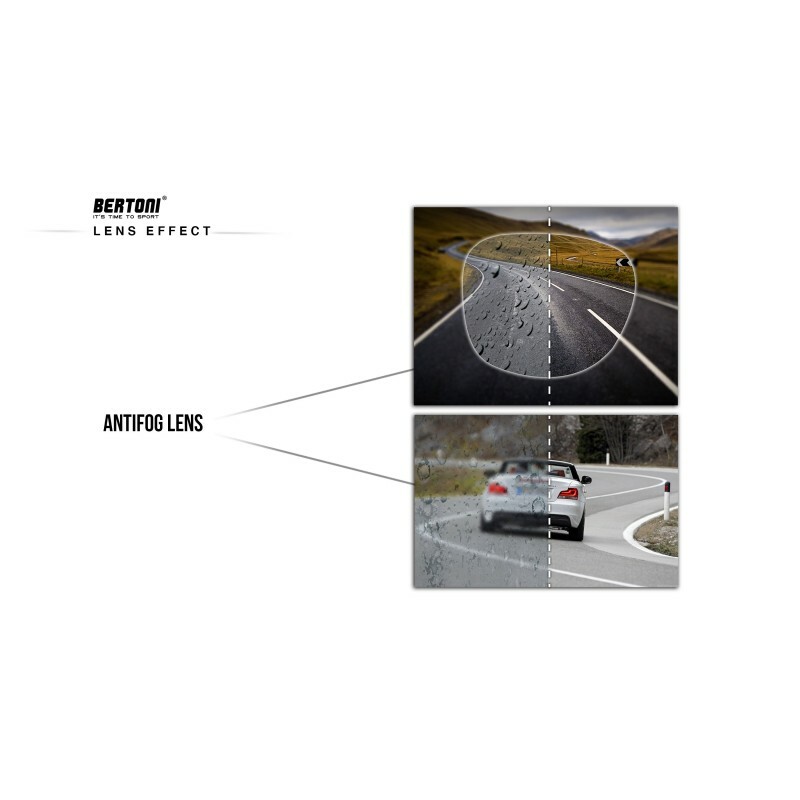 Lenses are decentered in order to avoid any optical distorsion. 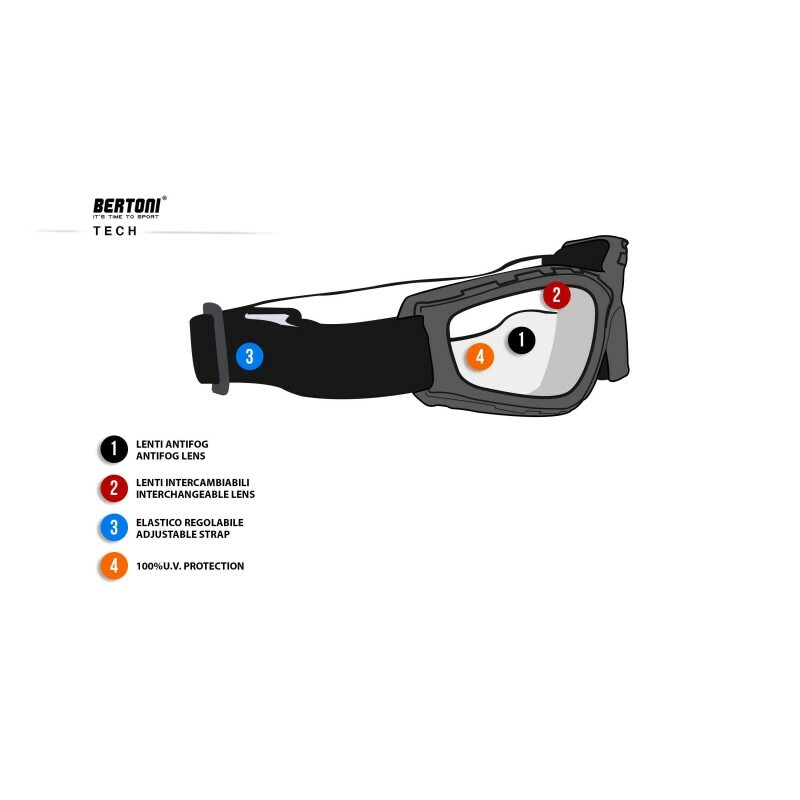 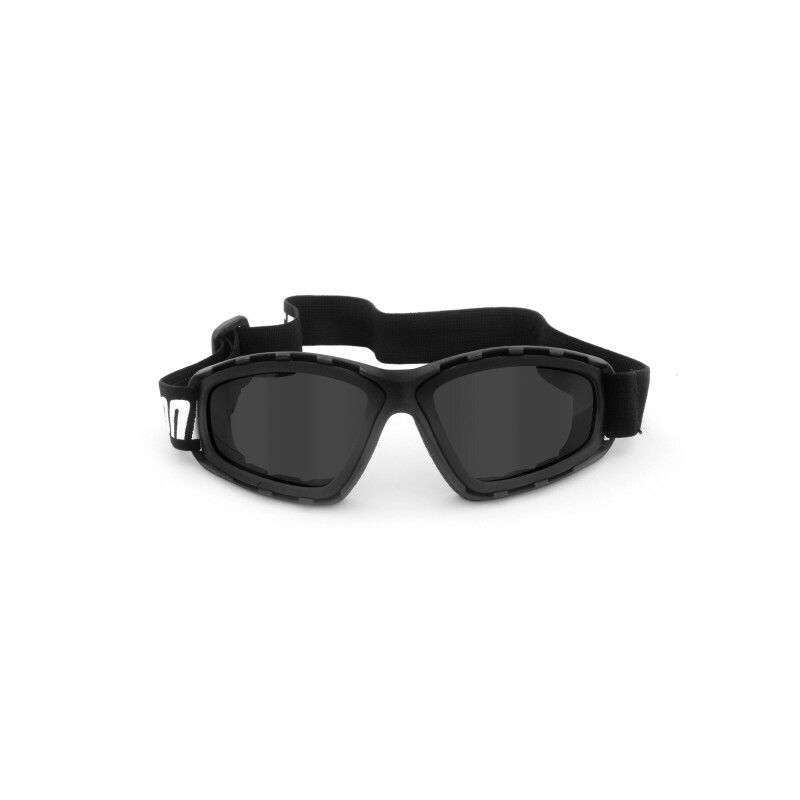 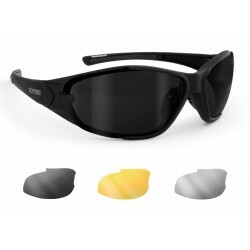 AF120B: motorcycle goggles and sunglasses for extreme sports with 4 lenses included: - Smoke antifog lens recommended in conditions of low or medium brightness. 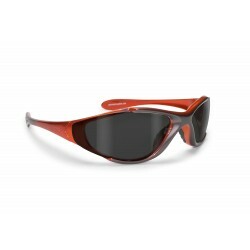 - Orange antifog lens recommended in conditions of low or medium brightness and in case of fog. 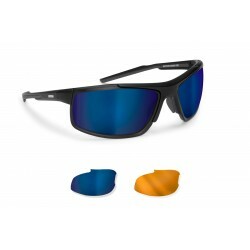 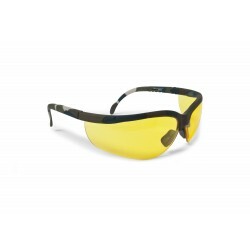 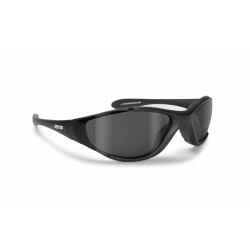 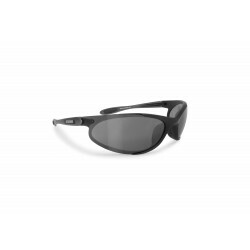 - Clear antifog lenses recommended in conditions of low brightness and for night use. 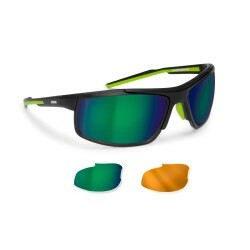 - Gradient green lenses are recommended in all the types of brightness thanks to the clear colour in the low part of the lenses. 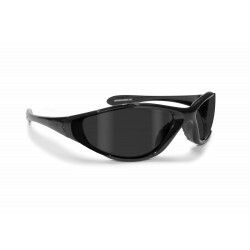 Lenses can be removed very easily for the changing and cleaning operations. 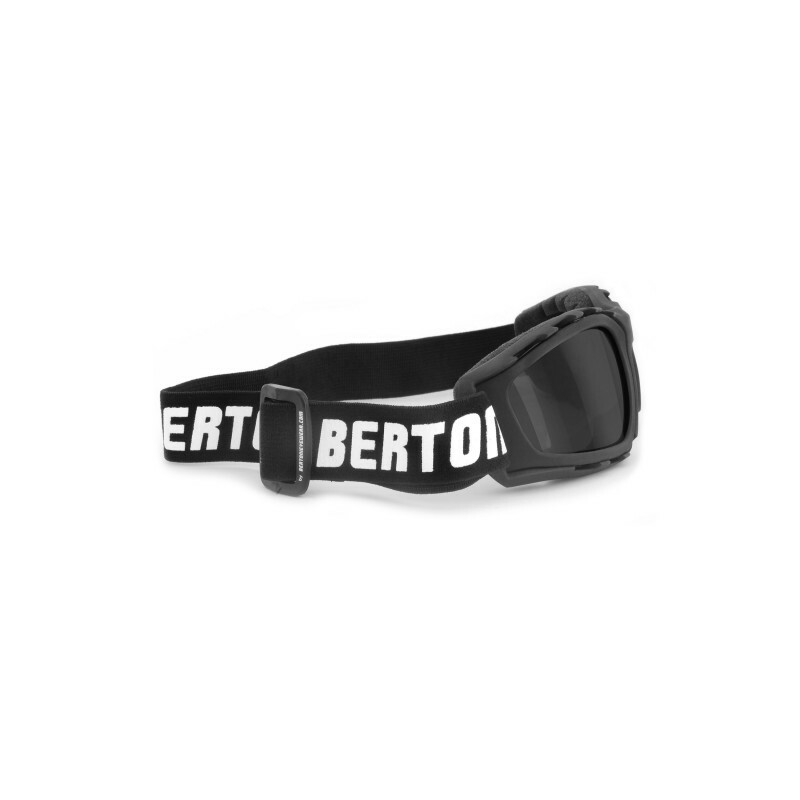 The strap is adjustable. Ventilated thanks to the special cuts on the front frame. 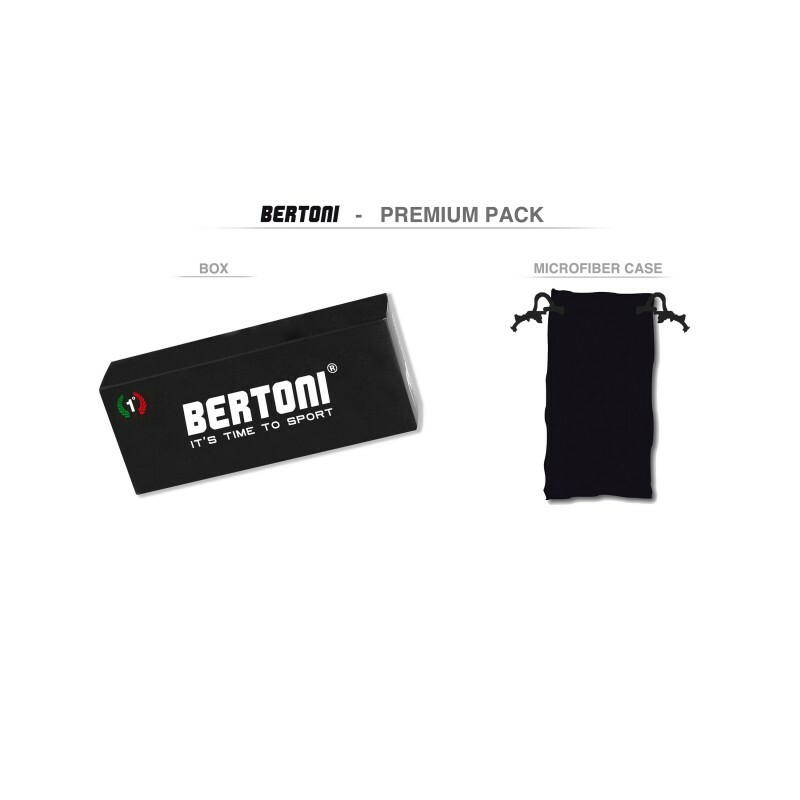 Packing : box - case – cord – -4 years warranty. 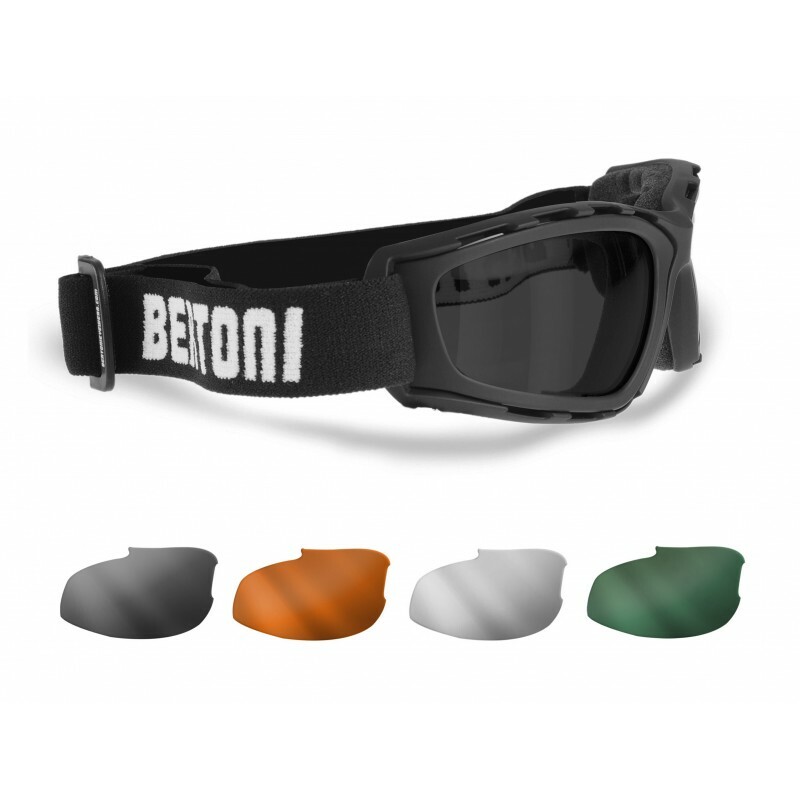 Bertoni provides lifetime after sale service for all Bertoni goggles and sunglasses. 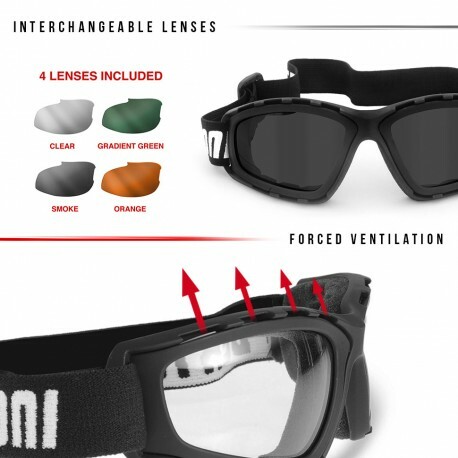 4 spare lenses is even too much!!!!! 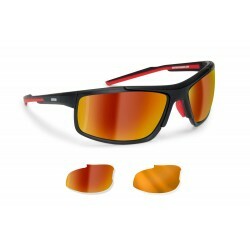 anyway..perfect!